With the advent of app development companies floating in the market and new entrepreneurs adapting discrete ways to enter this field, mobile apps development has become more intensified. Irrespective of the platform in which the app is developed, comes a more stringent question before mobile app developers as to which field to choose while developing the app. The choice can not only be forecasted by raising surveys on public demand but can be more precisely estimated by determining app utility and its governing features. 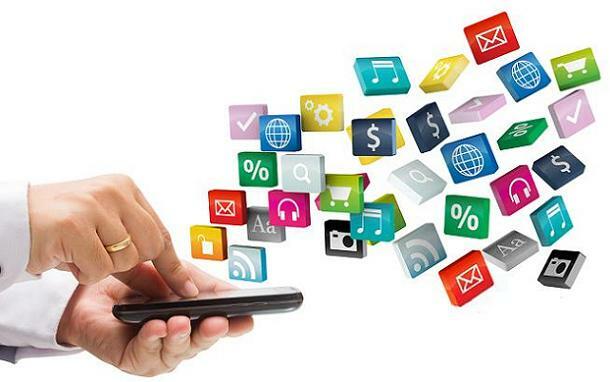 After all the efforts that mobile apps development companies puts in developing, designing, launching, marketing, etc behind the app, the main intention is to incur more by growing app requirement in the market. For this, one needs to know the app development scenario of the present and accordingly forecast it for the future when their app is going to set free in the market. According to surveys which are carried out by various marketing professionals during the course of App analysis, each genre of app can has peak time of its utility and after definite duration of time, it fades away. While in some cases with a cold start, the app gains abundance amount of popularity which stats successful market penetration. Instant messaging, sharing and chatting have become immensely popular among young generation as well as the business associates. So this genre of mobile app development has never faded and has continuously been used by most of the people around the world to stay in touch with their near and dear ones. Also there are continuous updates in the features like talk, chat, flip, share, promote etc. which doesn’t hinder the popularity of such apps and make a dazzling future ahead of them. As Facebook, Twitter, BBM for blackberry has gained strong markets; another new implementation of the same idea would keep your nose in front of others in the app industry. This is another section that has caused wonders in app development market. Puzzle, 3D, Racing, Stage games, Action all these domains continuously evolve different tools, gadgets and formulas that cannot prevent children as well as elders for playing it. It has eventually turned out to be the hottest market. Also there are tricks to gain time to time income from this category of apps by upgrading the players, spots, themes, tools and other things that attracts the player and the game-lovers are even ready to pay considerable amount for the downloads of these updates. Large scale business entrepreneurs are busy traveling or with meetings. The app requirement for them is the one which helps them conduct, collaborate and obscure their presence at pin point of time. Also most of the companies today follow the concept of BYOD (Bring your own device) for the managers and subordinates. So the apps that can provide sync between their works can turn out to be important aspect for their business. Also such apps increase business productivity and effective time utilization. Memos, Reminders, Calendars and multiple other time committed apps can serve as a favorable zone for mobile apps development companies. In addition to these, some important aspect that influence mobile apps development are environment for app development, skillful resources and equipments and other things. With such cut-throat competition existing in the industry, it becomes inevitable to come up with some uniqueness to rule this app development industry. Current scenario for app developers with so much of app making popularity indicates bright future for the entrepreneurs.